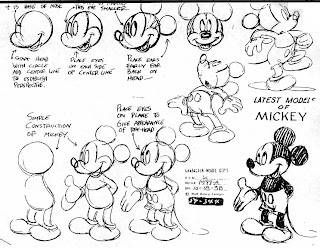 Here are two more model sheets from the same stack that the Paul Murry sheet came from. 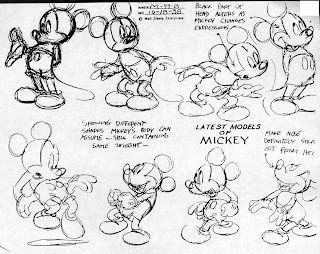 Incomplete fourth grade copies, but still interesting as they shows the "Latest models of Mickey" and are dated October 18, 1938. He has been re-designed several times since, but this design has always kept coming back. Timeless and classic. Click images to enlarge. Got two more sheets dated 10-18-38, featuring action sketches and heads.